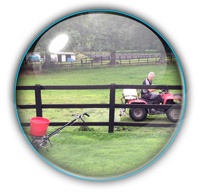 Greenway Lawn Services – The lawn care specialists in Gloucestershire. There is nothing so beautiful as a lush green, weed free lawn. Making it the focal point of your garden, complementing your flower borders, giving you enormous pleasure not to mention impressing both visitors and passers-by. 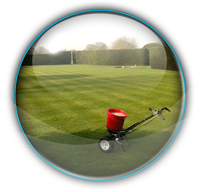 Greenway Lawns are also cost effective and environmentally safe – All our sprayed or solid products are of the highest quality, environmentally safe. 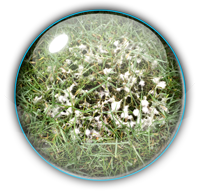 They are sourced from expert green keeping and horticultural suppliers only available to the trade. 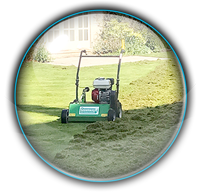 Lawn treatments can start from as little as £15 which includes labour, machinery and material costs. Treatments cost no more (and sometimes less) than DIY, but are applied by professionals and achieve better longer lasting results. 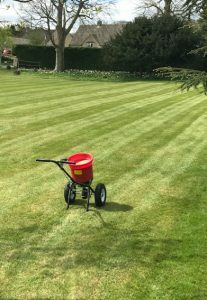 So whether you’re an individual customer that needs help with your lawn, a hotel that needs their lawns looking inviting year round, a sports ground management team needing their grounds and outside courts looking smart and professional for visitors or a parish council that needs verges and village greens looking clean and tidy – why not give us a ring and we can discuss your needs. You may think the grass is greener on the other side. But if you take care of your own grass it would be just as green! 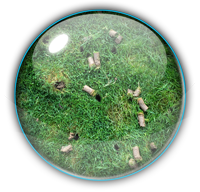 Supplementary Soil Improvements – Our standard lawn care service identifies problems each visit, aims to correct them to give you an immaculate lawn and represents outstanding value for money. Here at Greenway Lawn Treatments Service we also offer the Complete Tennis Court Service for both Tarmac and Artificial and offer hard surface maintenance to include high pressure cleaning and moss removal using soft wash techniques with hydraulic brushes and sweepers. Please feel free to contact us on 01452 780780 for a one off service or to manage a yearly maintenance program individually tailored to your needs. 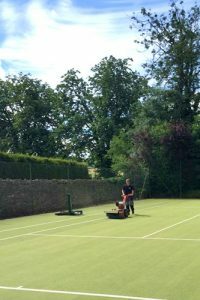 We offer this service to both private individuals as well as hotels, schools and professional arenas in the Gloucestershire and Cotswolds areas. 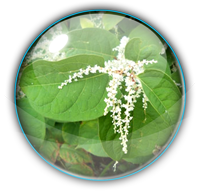 Greenway Lawn Treatment Service is able to tackle invasive weeds such as Japanese Knotweed amongst others, using environmentally safe herbicide treatments.